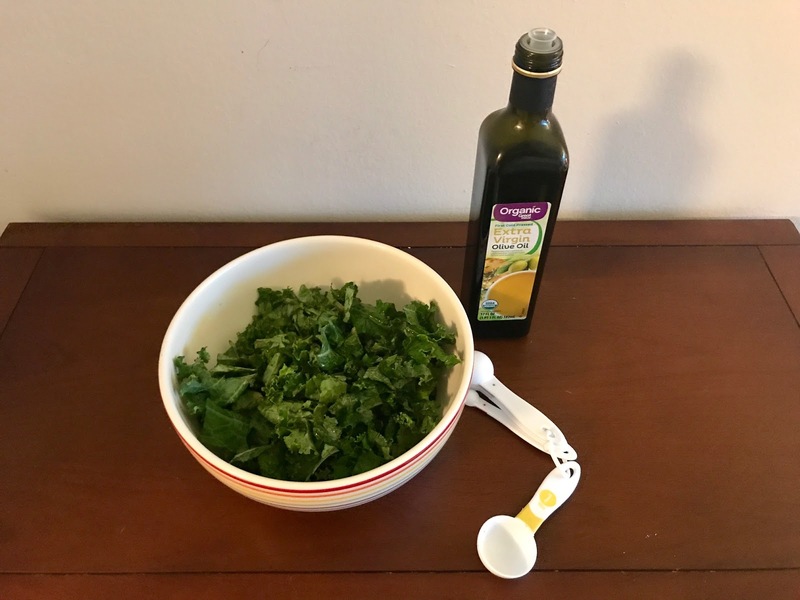 I will be honest and admit that I've never had kale before this recipe. The stuff kind of scared me, tbh. Even still, I know kale is so good for you so I decided to give it a try. I initially bought this veggie for a smoothie that I made (post on that later!) but since the bag was pretty big I wanted to be sure I didn't let it go to waste. 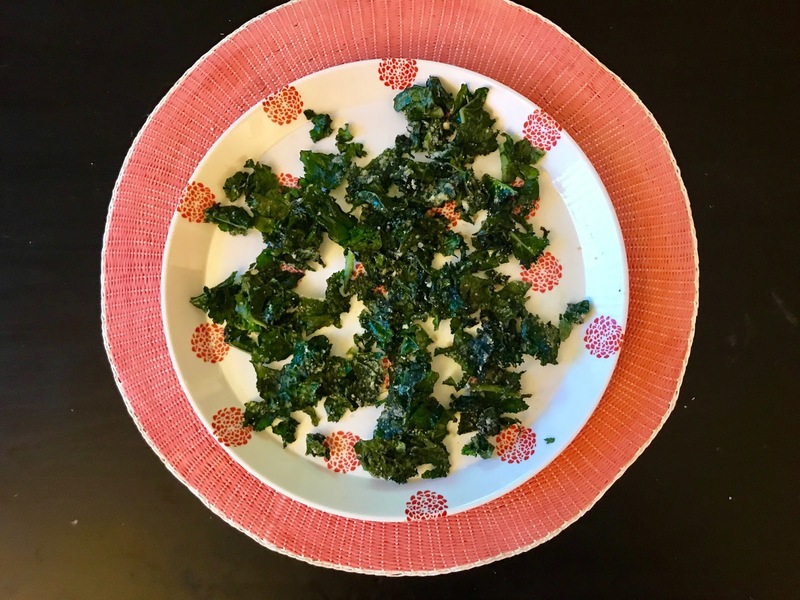 I went to Pinterest (duh) for easy kale recipes and found this! Not only are they SO INCREDIBLY EASY (only 5 ingredients!) to make but these are a really tasty and crunchy snack alternative for chips or other junk food. The garlic and parmesan adds a salty kick, which I love. Overall, I approve of kale! Note: I would say this recipe only makes enough for 1 serving. I would probably double the ingredients to make a bigger batch next time. Also, next time I think I will sprinkle fresh parmesan on top! So glad I tried it!! 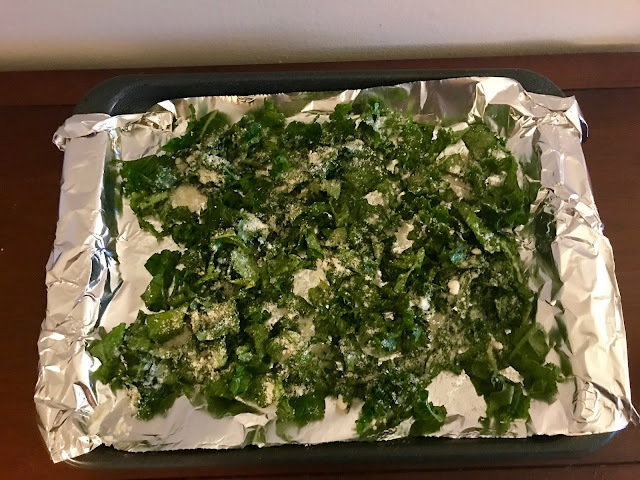 I hate garlic unfortunately but I'm sure kale chips are delicious! You can add so many different kinds of seasonings to them, it's great! Yessss! I'll need to experiment! I will definitely try this recipe. 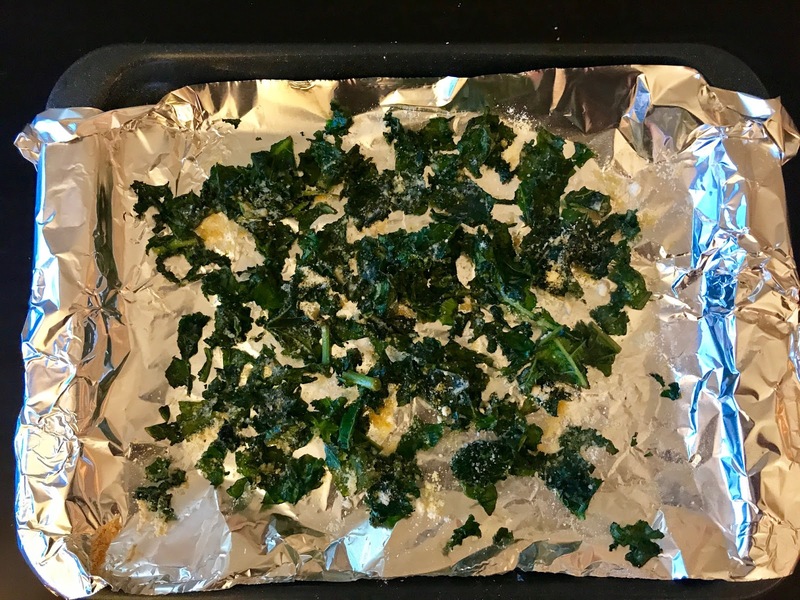 Quick and easy, I love Kale chips. These look so good! I've made jake chips before but never added a flavor! Gonna try these this weekend! Oo I love that this is easy to make because at the store it can cause an arm and a leg! Thanks for sharing this! I had a bad experience with kale once... but I mean garlic and kale?? Count me in! Thanks for the recipe; will muster the courage to eat kale soon. Thanks for checking it out, girlfriend! 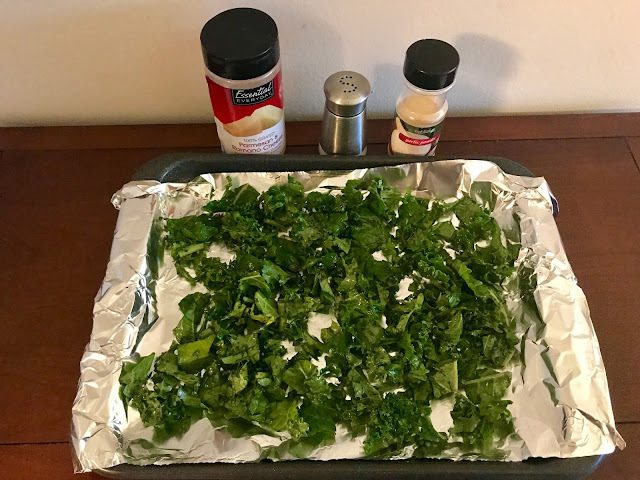 I've always wanted to try to make some kale chips. Garlic and parmesan sounds so good! Sooo good and guilt free - you need to try them!! Aw yay I hope you like it!! I've made kale chips a few times but not this way, I'm for sure going to be trying this out minus the parmesan though :] thanks for sharing!! thank you for this recipe, I definetly Need to try it. So good and so easy to make! This looks so good and tasty! Thanks for sharing the recipe! These sound delicious and healthy too! Yesss! Nothing better than guilt free snacking! I can't wait to try and make this tomorrow!! Love it. This sounds great and worth a try. I love kale chips and these sound delicious, will definietly be trying! Heard countless of articles online about the health benefits of kale. And I actually love it. Your recipe just gave me another reason to love it more. Will definitely try this one. Thanks for sharing! I would love to try these, they look delish!!! Kale is a very common veggie in Holland, Kale & mashed potatoes is one of our typically Dutch dishes! I have always loved it! OMG!! Kale and mashed potatoes sounds heavenly!